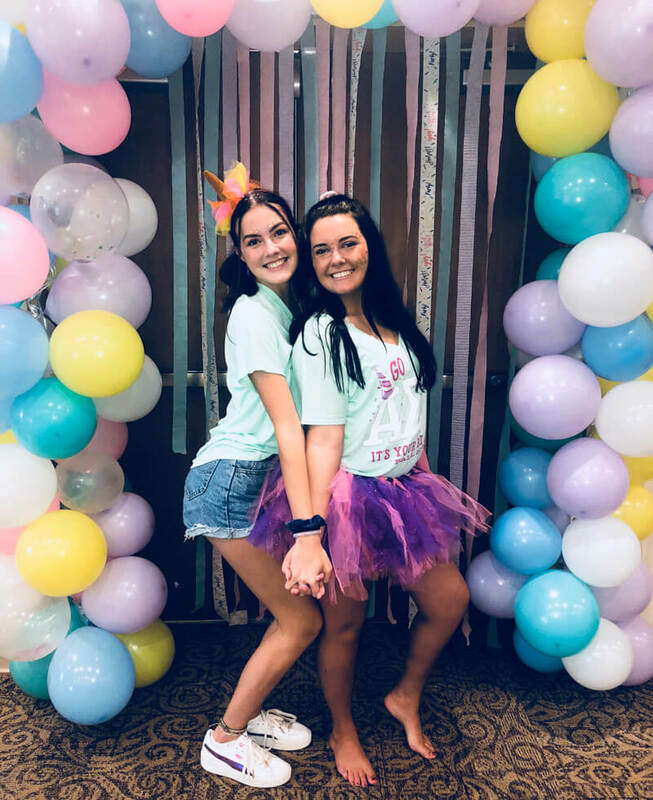 Christina G. was in charge of her chapter’s Fall 2018 Bid Day and threw her chapter a Bid Day Party, like a Birthday Party. She chose elegant pastel colors that were used throughout all of the decorations. 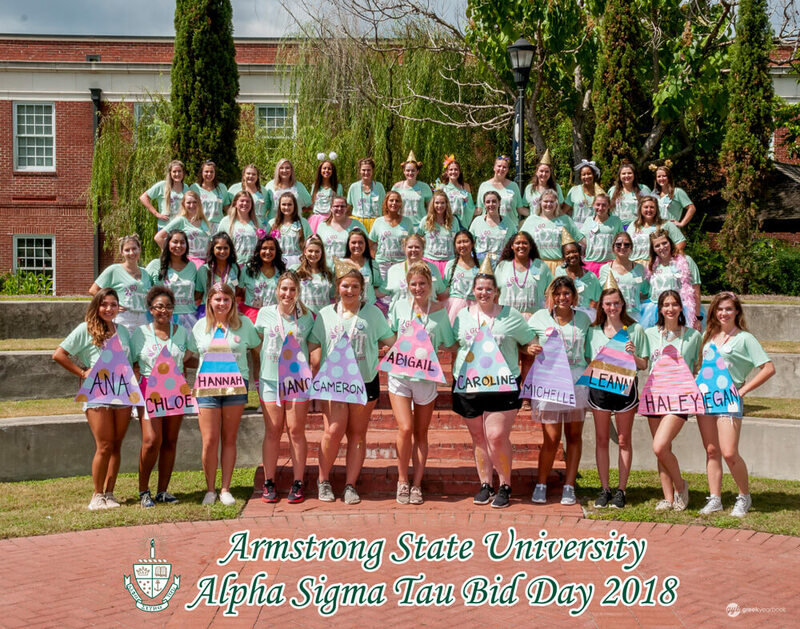 They had a banner that featured tons of balloons and said “we’ll make it like your Bid Day everyday.” Active sisters had small cupcake name-tags and new members had large colorful birthday hat shaped name tags. Christine used bins and folders to keep everything related to Bid Day organized. Her VP helped her tremendously, especially with keeping track of her budget. 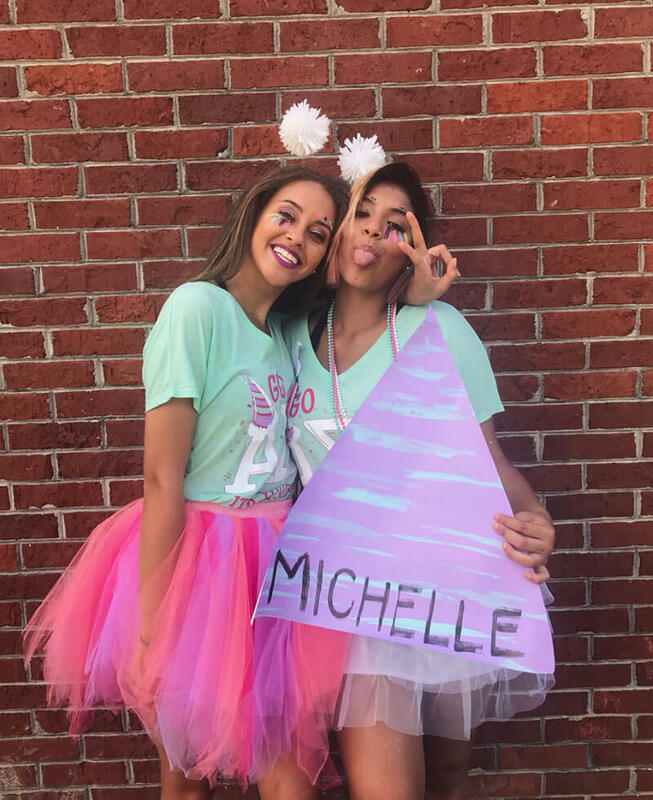 A few sisters help with all the crafting and her Big created their beautiful banner. 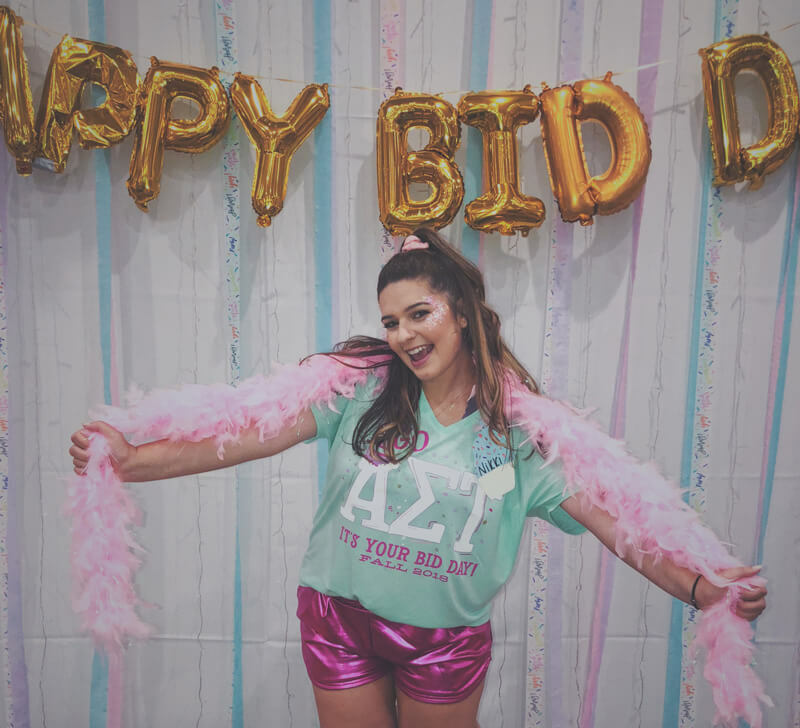 Five months of preparation went into their Bid Day to make it the best one their chapter has had yet! 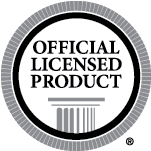 While the planning process was stressful at times, Christine said the experience was very rewarding. 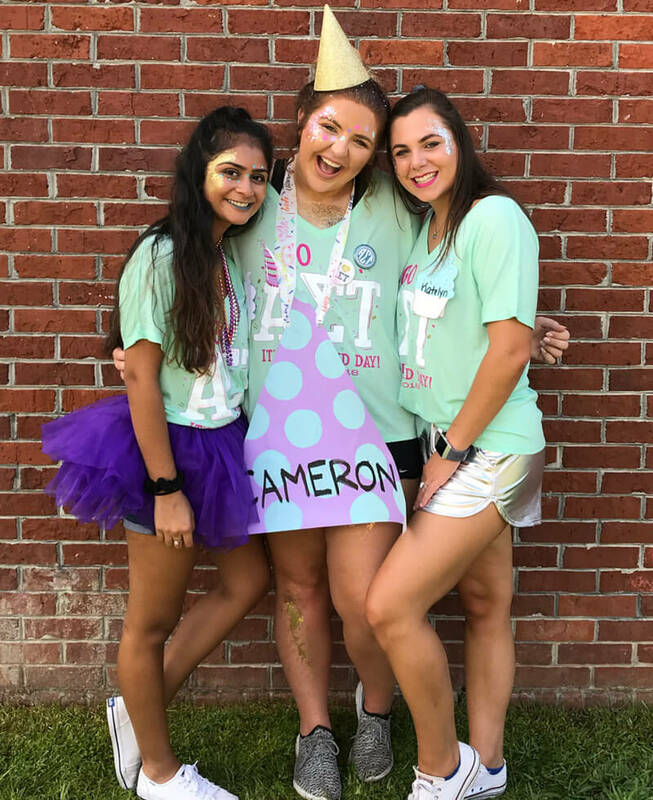 The looks on her new members faces made all the planning and hard work worth it. 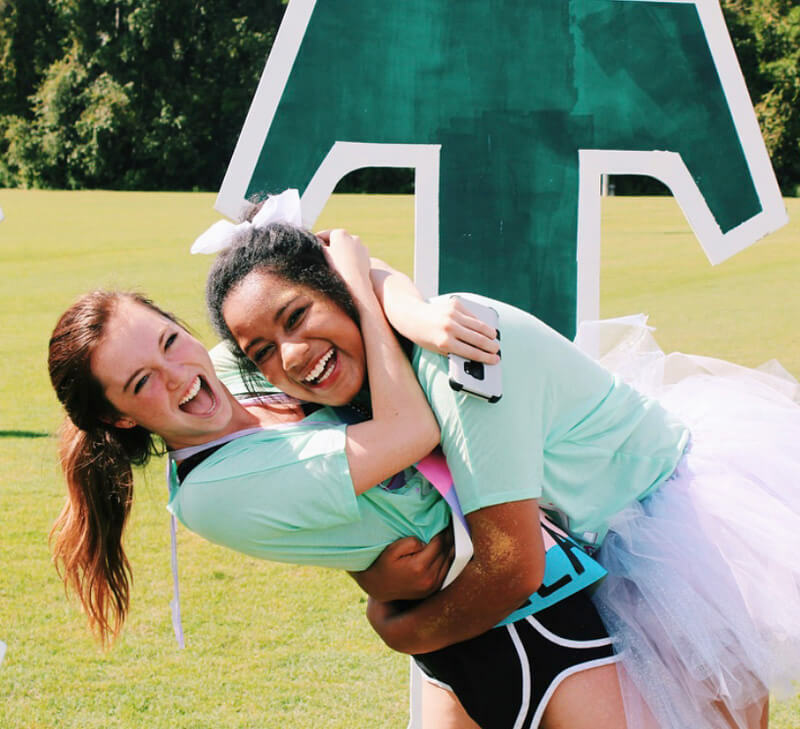 Stay organized, utilize your sisters, and keep your eyes on the prize!